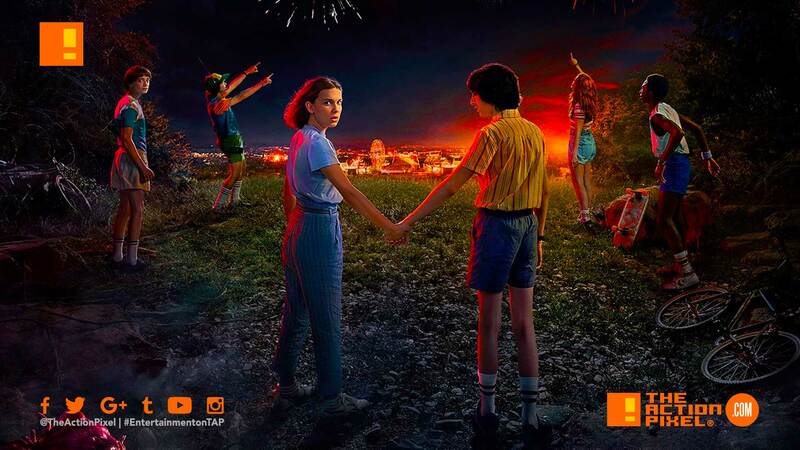 Netflix follow-up series in the Stranger Things franchise is gearing up for an explosive Independence Day in 2019, as a new poster has been released showing the underbelly of this world is still a threat to our impressionable young kids. Put that against the backdrop with the 1980’s and married with as many hormones, we’re sure Stranger Things 3 is about to be a great moment this year. Whilst everyone else is distracted by the fireworks or girls, Will and Eleven are the only observant ones here. Typical.